Who’s ready for a peek at how to flush an air tank? We all know good routine coach maintenance is important. Some items on the list bring you back to visit the Marathon family, while others are simple and breezy for our do-it-yourselfers. 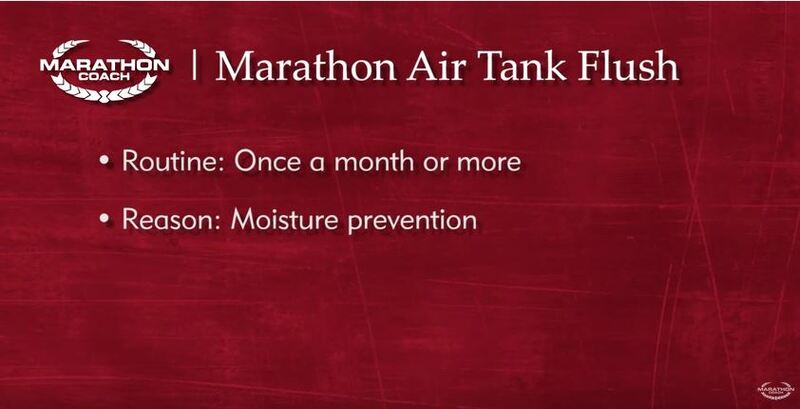 Watch the video to see how to properly flush the air tank. Our goal is to make life in an innovative and tech-advanced motorcoach simple and convenient. Have questions? Don’t hesitate to call or stop in one of our three nationwide locations.